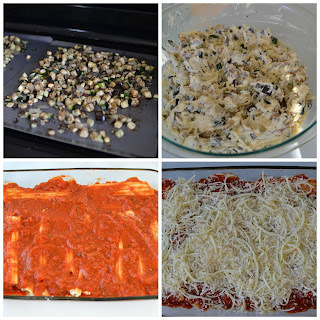 the eibls: Valentine's 2016 - More Manicotti! Today we're finally sharing our Valentine's meal! True to our tradition [2015, 2014, 2013, 2012, 2011, 2010] we made manicotti. Not only do we have manicotti on Valentine's day but we have a new recipe. There's been spinach manicotti, traditional meat manicotti, manicotti with crepes, and a lasagna roll up (we were a tad bit liberal on manicotti that year). This year we're back to a vegetarian manicotti as it featured roasted vegetables. Originally our Valentine's day was going to include hosting some dear friends but there was some snowy winter weather that changed their plans and they weren't with us for Valentine's supper. Because of our initial plans of having friends stay with us over the weekend I made the manicotti at the end of the week and froze it until Valentine's day. I actually doubled the recipe and froze an extra casserole too! Enough chatter about the manicotti please enjoy the recipe. You can access my google doc here that contains the full Valentine's menu. Combine vegetables with olive oil, salt and pepper; toss to coat. Transfer to baking sheet and roast for 30 min, stirring after 15 min, or until vegetables are softened and just starting to brown. Set aside. Cook manicotti shells to al dente. Drain and run under cold water until shells are cool enough to handle. Meanwhile, stir together ricotta, egg, salt and pepper. Fold in roasted vegetables, 1/4 c. parmesan cheese, and 1/2 c. mozzarella cheese. Spread 1 cup of marinara sauce on the bottom of a 9x13 casserole dish. 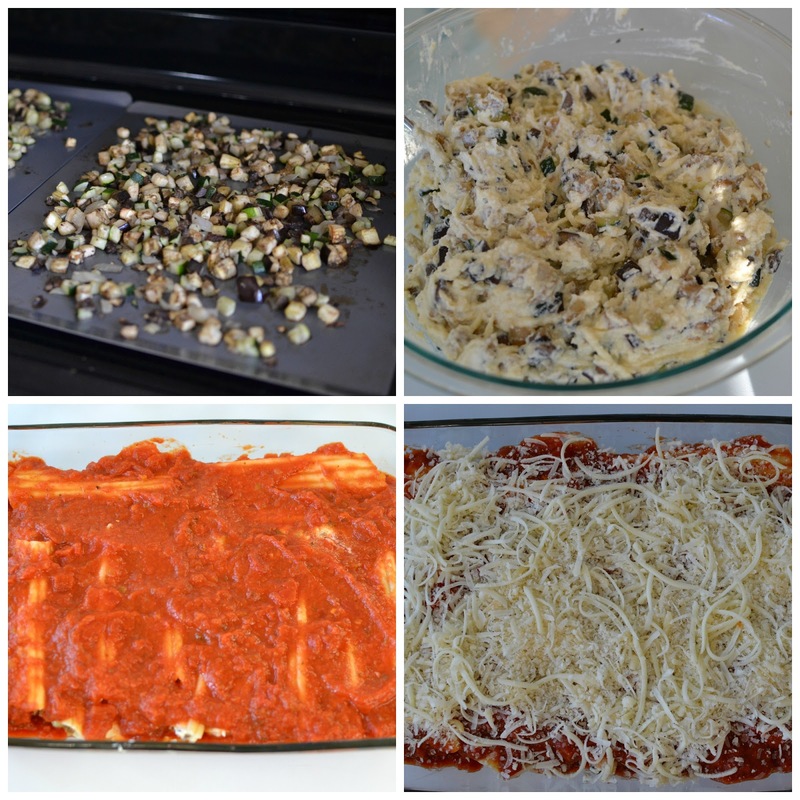 Using a spoon, fill each manicotti shell with vegetable mixture. Place finished manicotti in dish and top with remaining sauce and cheese. If you're planning on eating the manicotti the same day you make it, reduce oven temperature to 350F and cook right away. Cover casserole dish with foil and bake manicotti for 30 minutes. Remove foil and bake an additional 10 minutes more. To freeze: Place plastic wrap directly on top of manicotti, then cover casserole dish with lid. Freeze for up to 1 month. To bake, preheat oven to 350F; remove lid and plastic wrap and cover with foil. Heat for an hour, then remove foil and bake about 15 minutes more or until manicotti is heated through and cheese has melted. Do you have a favorite manicotti? !